Lovely single story home, home is move in ready. 2 bedrooms, 2 bath, NO HOA DUES. Home was built in 1988, nice kitchen with tons of cabinets, separate dining area with tile flooring, living room with vaulted ceiling, fireplace and laminate flooring. 2 Bedrooms with vaulted celings, large closets with mirrored doors, recesses lighting, all dual pane windows and doors. Beautiful back with lots of concrete, easy maintenance with lovely deck for entertaining and BBQ, very private. 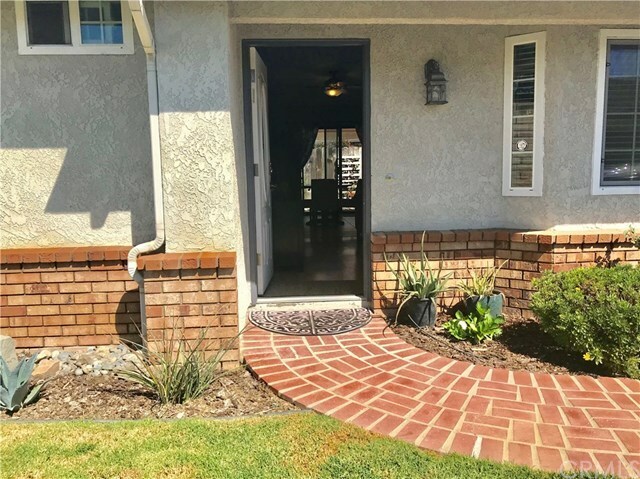 2 Car attach garage with rollup door, close to Marian Hospital, shopping and easy access to the freeway, shows very light, home is a must see. Subject to selling finding replacement home.